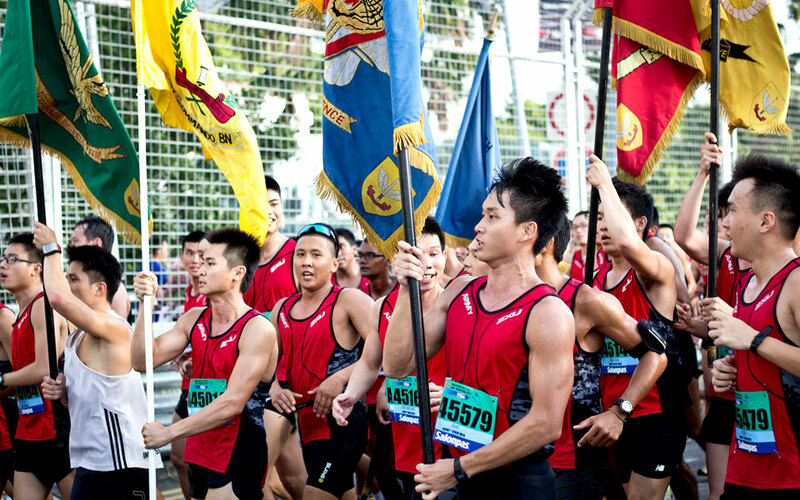 For the second year in a row, all Singapore Armed Forces (SAF) Operationally Ready NSmen (ORNS) and those who have completed their ORNS training cycles will enjoy a significant discount of more than 75 percent on registration fees for the 5km, 10km and 21km categories. Each participating NSman will also continue to be able to nominate up to 3 immediate family members to participate with them at a special SAF Family rate. 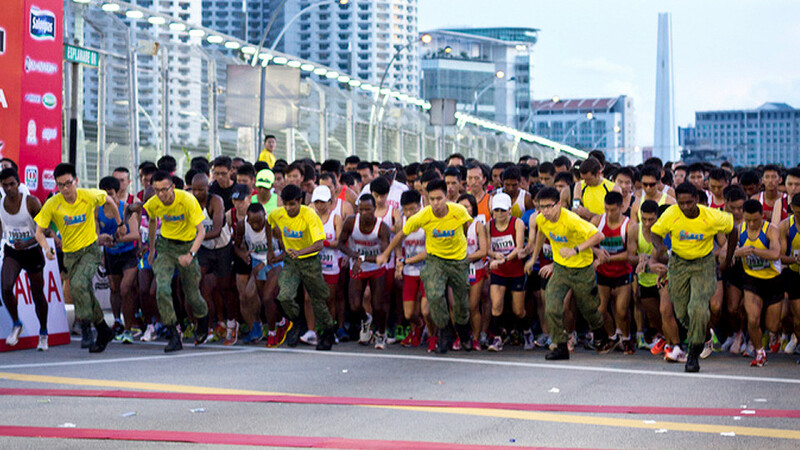 This comes after a successful event last year, which drew more than 46,000 registered runners and a whopping 74 percent increase in participation among NSmen after the discounts were introduced for the very first time. "We received a lot of good feedback last year and we want to encourage even more NSmen and their families to keep fit and bond through this event. The special discounts are a way for us to recognise NSmen for their service to the nation, and to thank their families for their continued support for National Service." Besides encouraging bonding, more emphasis will also be placed on improving the running experience and preventing bottlenecks that were encountered along last year’s route. "We want participants to have a good running experience, so we are studying the route carefully to fine-tune and improve it further. For instance, as far as possible, we are exploring wider running routes at the Tanjong Rhu area for our runners. We are also looking at improving the flow at other segments such as The Helix Bridge, by adjusting the overall route and start times of the respective categories. We are expecting a larger turn-out this year, and we hope that these improvements will allow all our runners to have an enjoyable run at this year’s event." In recognition for their contribution towards National Defence, priority registration for NSmen and their family members is now open. Registration for public will commence from Wednesday, 18 June 2014 onwards. The SSBR & AHM is jointly organised by SAFRA and the Army. 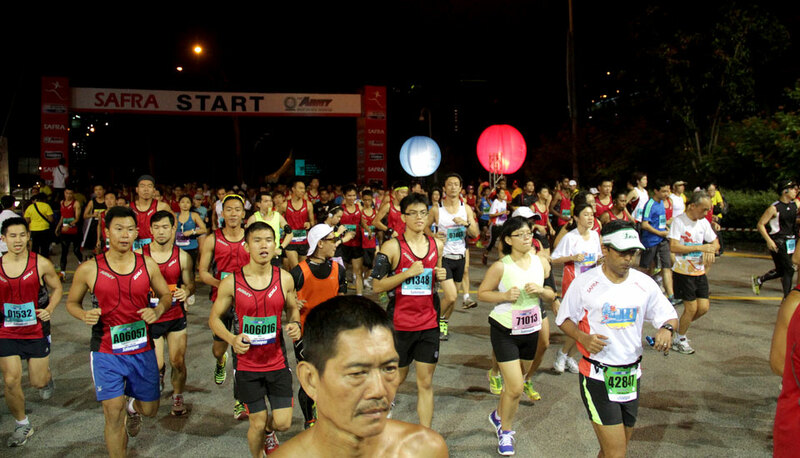 The 23rd edition of the SAFRA Singapore Bay Run & Army Half Marathon (SSBR & AHM) will be held on Sunday, 31 August 2014.